[Media March 2003] Robertson considers action over web allegation George Robertson, the NATO secretary general, is considering legal action against the owners of the Sunday Herald, over internet allegations about his connection to Thomas Hamilton, the Dunblane killer. 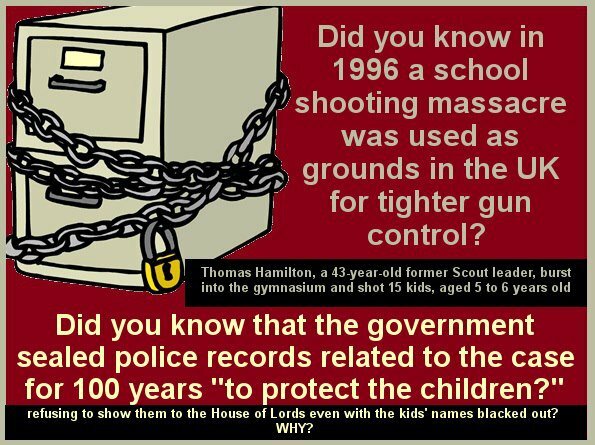 [Media March 2003] Dunblane secret documents contain letters by Tory and Labour ministers Another document relates to correspondence between the clerk of the Dunblane inquiry, which was presided over by Lord Cullen, and a member of the public regarding 'possible affiliations of Thomas Hamilton with Freemasonry ... and copy letters from Thomas Hamilton'. 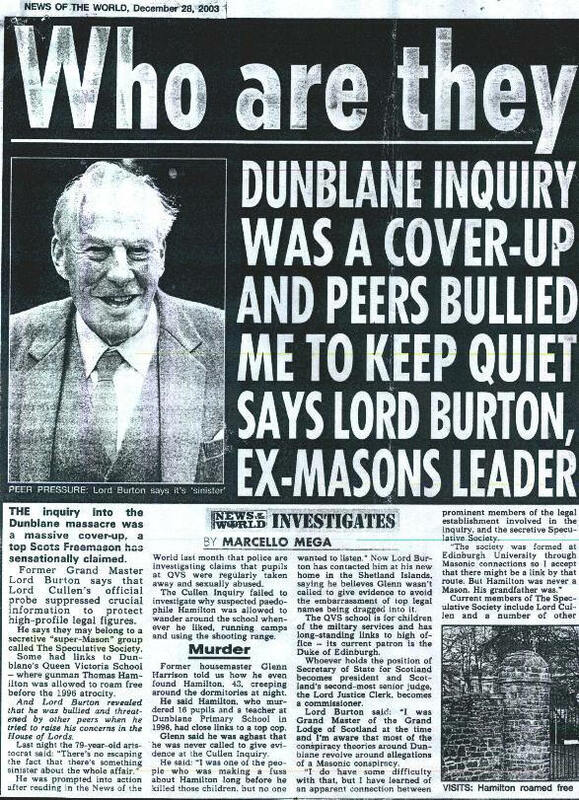 [Media Feb 2003] Call to lift veil of secrecy over Dunblane There have been allegations that the lengthy closure order was placed on the report after it linked Hamilton to figures in the Scottish establishment, including two senior politicians and a lawyer.